Though good drinking water is provided countrywide it can lead to limescale deposits or contain substances that influence taste and odour in a negative way. 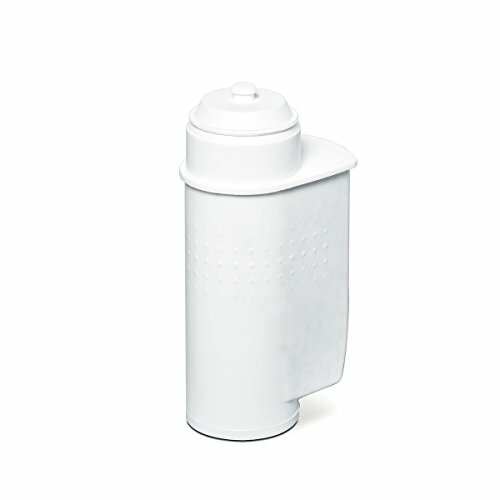 Brita Intenza specifically reduces the carbonate hardness in the water, preventing scale deposits. Unwanted smells and flavours that impair the aroma and the attractiveness of drinks are removed. Furthermore, the filter safely retains any coarse and fine particles in the water. Brita Intenza filter cartridges are suitable for the use in coffee machines with specially designed integrated water tank systems. For fixing the cartridge into the tank no additional bracket holder is necessary. The BRITA water filter cartridge Intenza is equipped with the unique Intenza aroma setting, allowing the Intenza cartridge to tune in to your local water quality. By means of the analytical test strip, which is provided with the initial cartridge enclosed to BRITA partners' espresso machines, the ideal aroma level can be easily determined according to local water quality in the following 5 steps: water quality can be adjusted by use of the flavour setting. according to local water quality reduced service costs. improved taste, aroma and crema. constant water pressure and temperature during complete time of brewing.